Between 2011 and 2012, a regional baseline assessment to analyse vulnerability was conducted in five landscapes of the Congo Basin as part of the ‘Climate Change and Forests in the Congo Basin: Synergies between Adaptation and Mitigation (COBAM)’ project. This briefing note summarises the results for the Monte Alén–Monts de Cristal landscape. The vulnerability assessment focused on current vulnerability, which includes an analysis of both past trends and present conditions. In particular, the analysis considers the social aspects of vulnerability understanding it as processes rooted in the actions of human actors and their interactions with the natural resource base on which they depend. Different dimensions of vulnerability framed the assessment. which largely applied a participatory approach. The different methods applied in the local communities were implemented in three phases: 1) preparatory phase, 2) workshop at district level and 3) fieldwork using participatory tools. Methods included a literature review and focus group discussions with various participatory exercises. Methods included a literature review and focus group discussions with various participatory exercises. Different climate-related disturbances have different effects on different groups, natural resources and activities. The availability of labour in a household is an important vulnerability factor. A family or household without enough available labour cannot perform certain farming activities on time and thus is more vulnerable to changes in the onset of seasons and may have fewer opportunities for livelihood diversification. Agriculture is the activity that is most exposed and affected by disturbances such as increased temperatures and changes in the seasons. Villagers have noticed that they are no longer able to predict wet and dry periods and thus follow the ‘traditional’ production calendar for their activities. Increased climate variability and unpredictability of rainfall patterns have caused reductions in agricultural production, thus negatively affecting food security and the local economy. 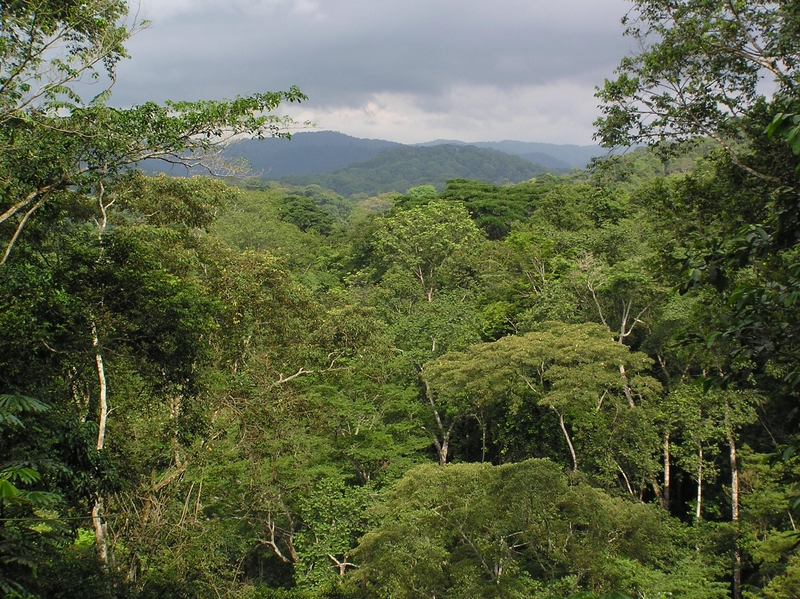 Transitions differ across the forest systems in the study area, which yield different products. The vulnerability of the natural systems and of the social groups that rely on them varies with the seasons (long and short rainy seasons). Furthermore, the crops cultivated in the different types of fields display differentiated sensitivity to climate variability. The use of different types of fields suggests the use of rotation periods and the association of crops with different types of forest or fallows. Subsistence agriculture remains the main form of production. Traditional farming practices, particularly slash-and-burn shifting cultivation, are prevalent in the area. The production system is based on the valorisation of the different types of ecosystems (forest, fallows), which is linked to different associations of crops, management practices and distribution of the workload over the year. Therefore, the production system displays a certain level of flexibility to environmental changes.Although the villagers do have some degree of diversification in their sources of income, the degradation of forest resources hinders their capacity to adapt. Their high reliance on agriculture for household food security combined with the pressure on forest resources, including bushmeat, limits the role of forests as a safety net. Villagers require viable economic alternatives to compensate for losses incurred due to restrictions imposed on use of the forest. Collective action in the village is relatively weak. Where it does occur, it is driven by either external agents or family members that have moved to a city. Villagers are not familiar with the concept of community management of forest. There has been almost no establishment of new formal institutions, as generally occurs in similar contexts with the support of public policies and foreign actors such as forest community or cooperatives, mainly because of barriers to their development. 1. Adaptation to future climate change requires building the capacity to adapt to new and unprecedented situations and events. 2. Planning for uncertainty must be a key element in any decisions. Strategies should be devised to expand safety nets through the construction of a broader livelihood base and greater access to options; to generate more information on social and ecological interactions; and to enhance collaboration between actors with different experiences and knowledge. 3. Given that agriculture is the main livelihood activity and puts pressure on forest resources, climate-smart agriculture options could be envisaged in the area. These options could maximise agricultural yields, diversify production and improve overall household food security, and help maintain soil fertility and control soil erosion in the long run. 4. Shift towards an oil economy, large investments are being made in infrastructure across the country. Therefore, efforts to enhance market linkages with rural areas and to provide training on techniques for processing, storage and commercialisation of food crops and NTFPs could lead to better quality of such products and greater competitiveness in urban markets. Pilot activities, such as those supported by the COBAM project, could lay the foundations for longer-term solutions, as long as there is systematic learning that enables reflection and refinement along the way. This will require mechanisms to support the learning process and facilitate experimenting, monitoring and improving over time.